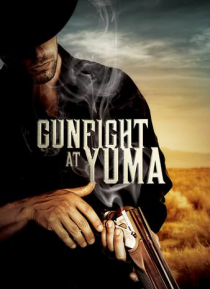 In a lawless land two enigmatic strangers with mysterious wounds follow a trail of smoke curling up over the small town of Yuma. As the men push closer to death, they cross paths with Caleb who helps nurse the strangers back to health. Now joining forces, the three venture to the outskirts of Yuma to aid a desperate preacher (Joe Estevez of DEATH ROW) in his fight against an overwhelming evil.